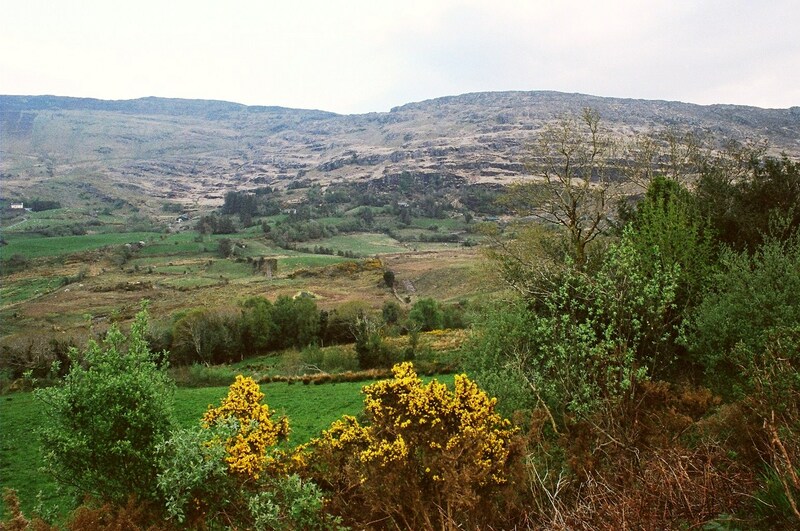 From our 2010 trip to Ireland. 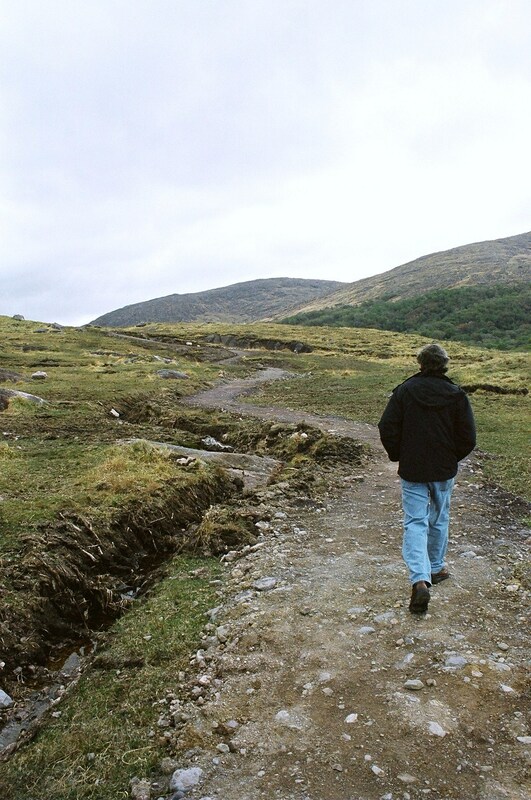 After a delightful week in Dingle, we made our way back to Dublin by way of Killarney. A dreadful tourist trap, Killarney at least provided a jumping off point for some interesting side trips. 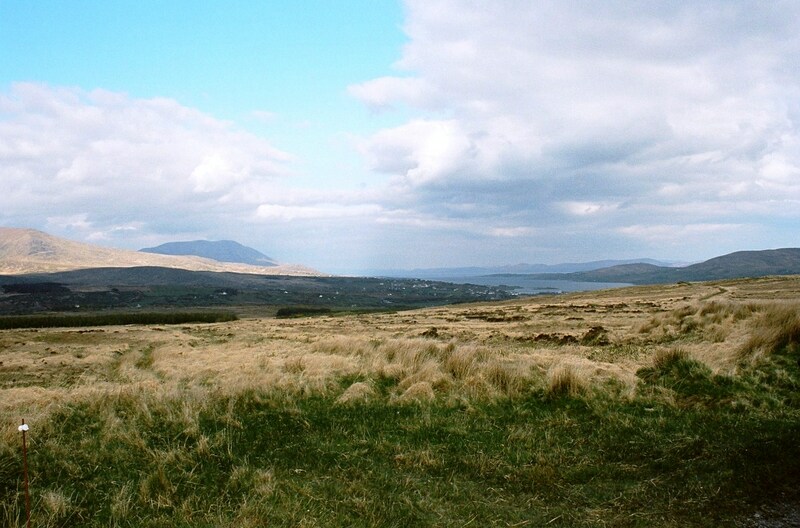 Among them, the Beara Peninsula where we spent a day visiting Neolithic stone circles. 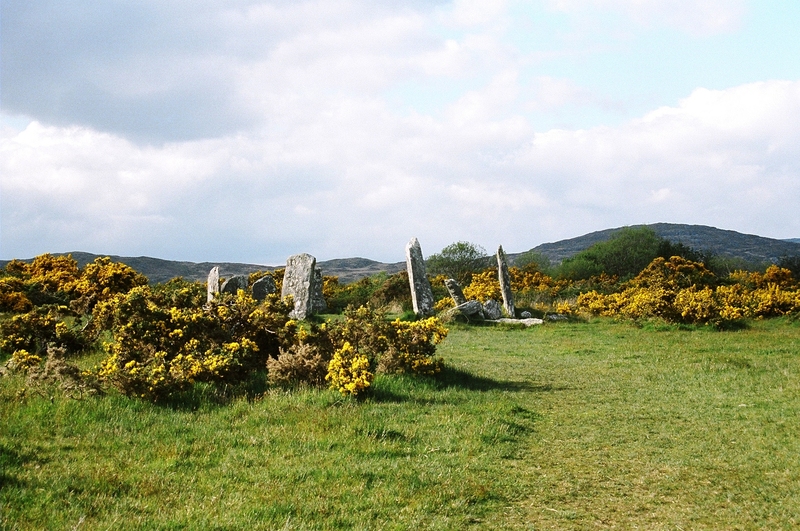 Built during the Bronze Age (2000 – 200 BC), there are over 100 circles in the southwest of Ireland. 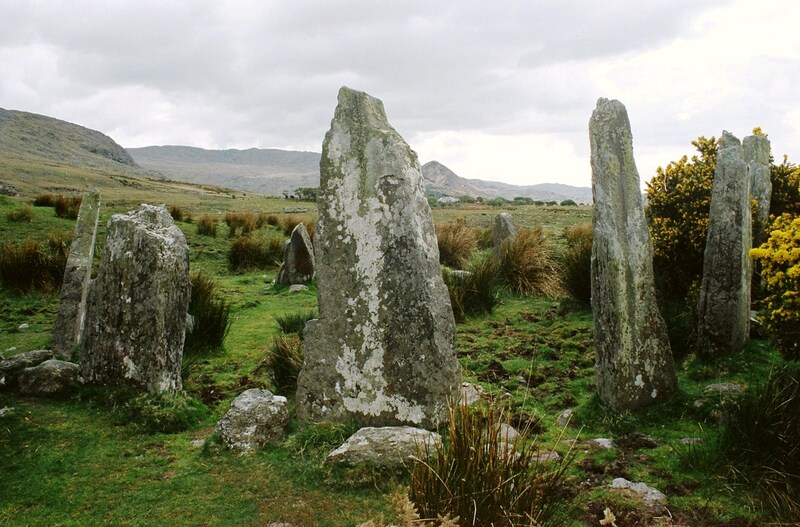 They are believed to have been built for ritual and ceremonial purposes and some studies have shown that they were oriented on certain solar and lunar events such as the position of the sun on the horizon on a solstice. Smaller than the more famous Stonehenge but no less impressive in their own way, they are scattered about without fanfare in sheep pastures and open fields. Finding them was not always easy, but with clues from the internet, discreet signs and helpful locals, we made a grand day of it and found quite a few hidden treasures. 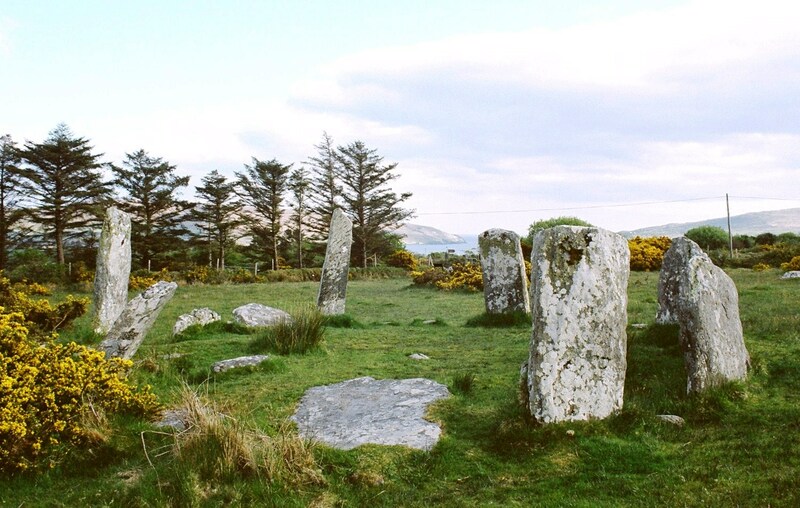 The first circle we stopped to see was the Kenmare Stone Circle just a short hike from the center of the town of Kenmare (Neidin). 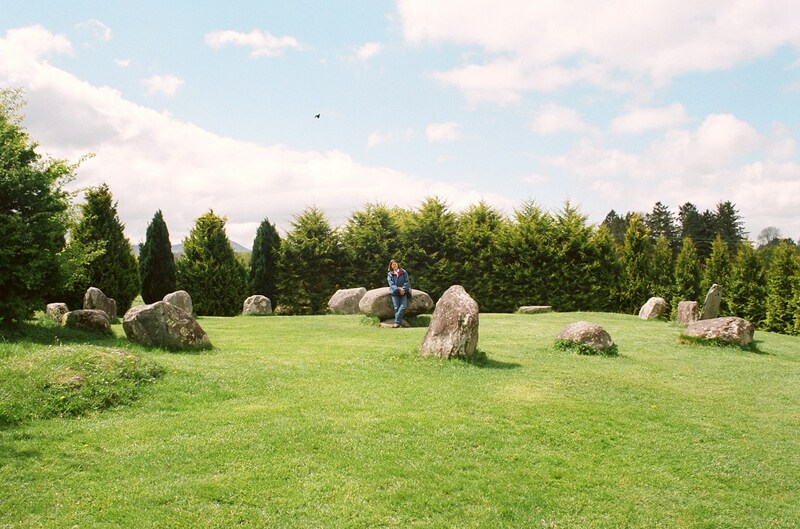 Locally known as the ‘Shruberries,’ this is the largest of the circles in southwest Ireland, composed of 15 heavy boulders. 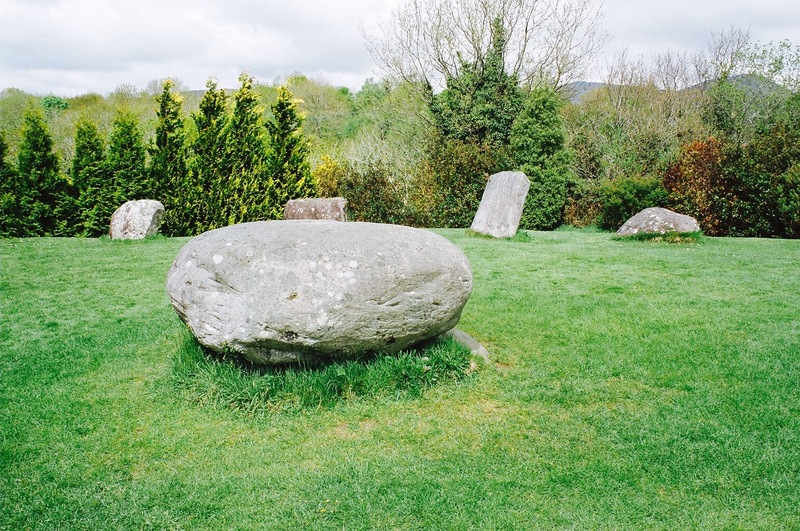 At the center is a boulder burial with a giant capstone about 2 metres long. 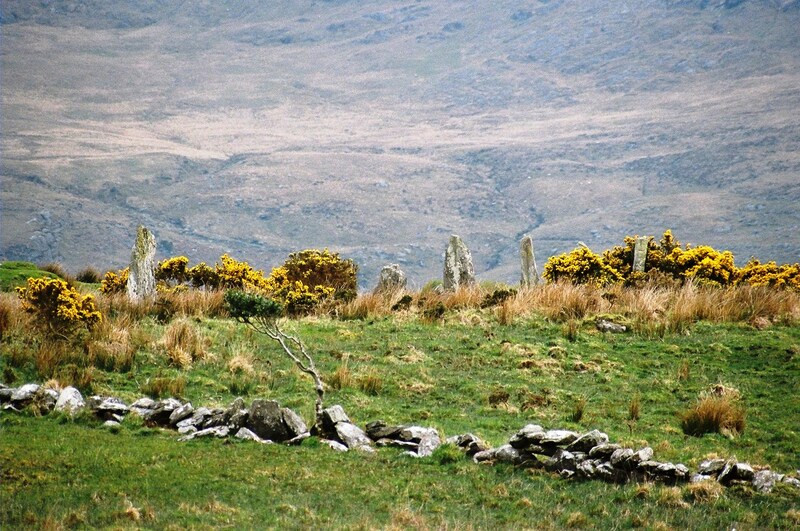 Next was the Uragh Stone Circle which stands high on a hill between the Cloonee and Geninghaquin Lakes. 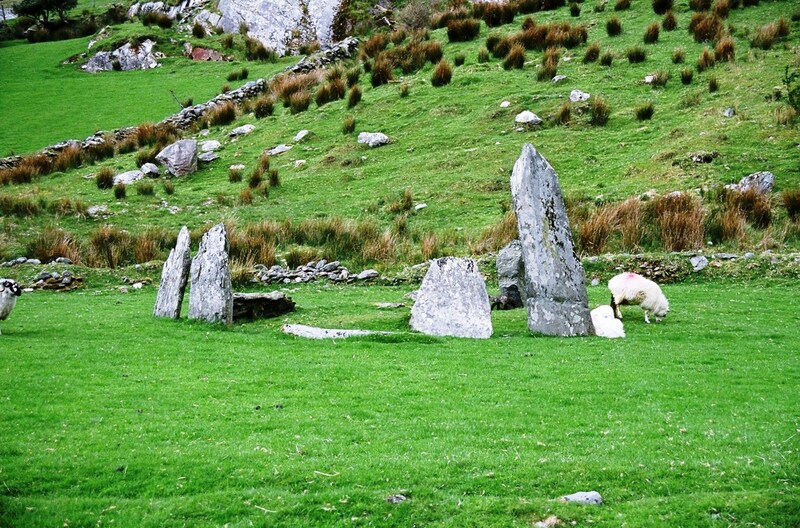 Surrounded by sheep and spectacular mountains, the circle consists of five stones, the tallest being ten feet high. 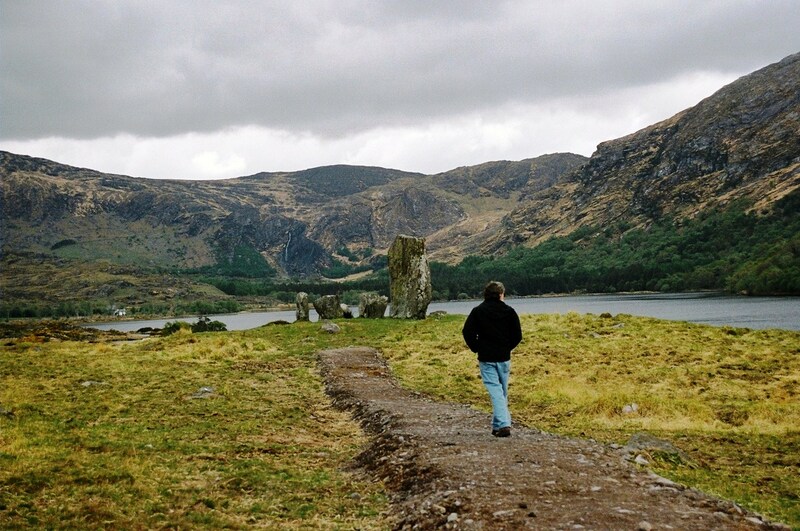 Hiking toward Urgagh stone circle. Then on to the Shronebirrane Stone Circle which we found at the end of a long road near some spectacular rock formation. The circle was in a sheep pasture in someone’s back yard. From Shronebirrane we continued west along the coast and followed the signs to the Ardgroom Stone Circle. We followed a dirt road through some cow pastures until we found a place we could park the car. 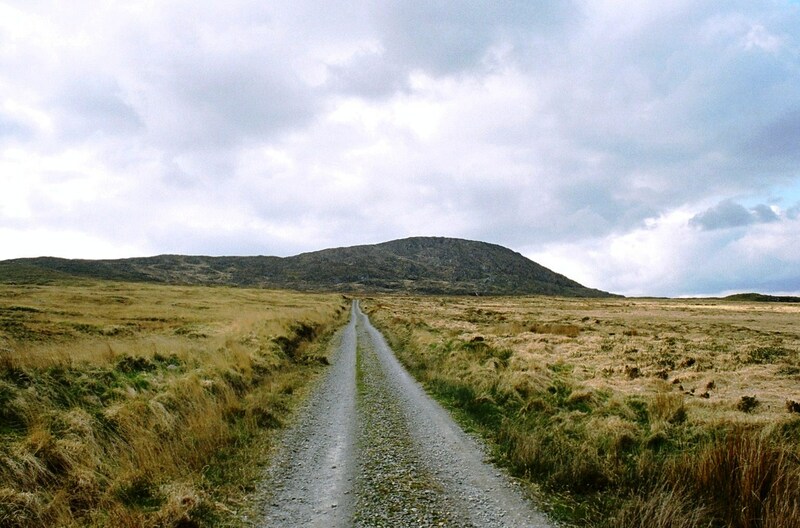 From there it was a short hike to the circle which sits between Kenmare bay and the Slieve Miskish Mountains. We continued south and west and then crossed the peninsula to the town of Castletownbere which sits on the coast of Bantry Bay. 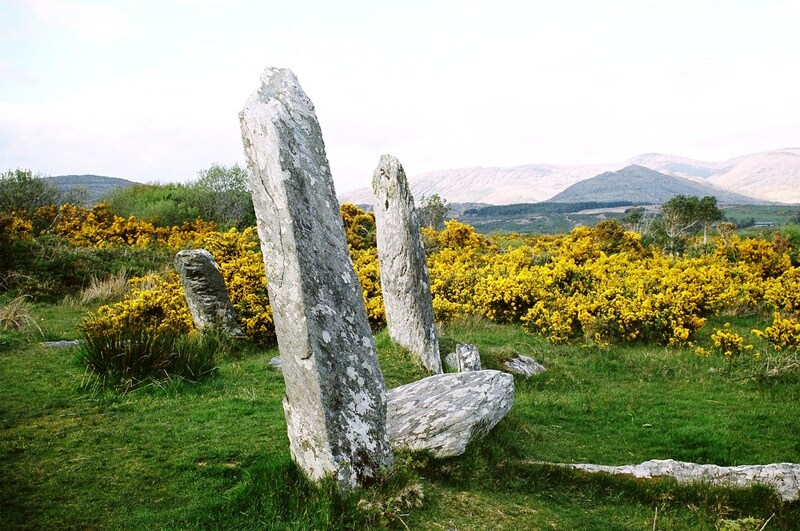 From Castletownbere we drove out a long country road looking for our last two sites — Teernahillane Ring Fort, and the Derreenataggart stone circle. We had trouble finding them at first, but got to see some dramatic countryside. After getting directions form a friendly farmer, we finally found what we were looking for. 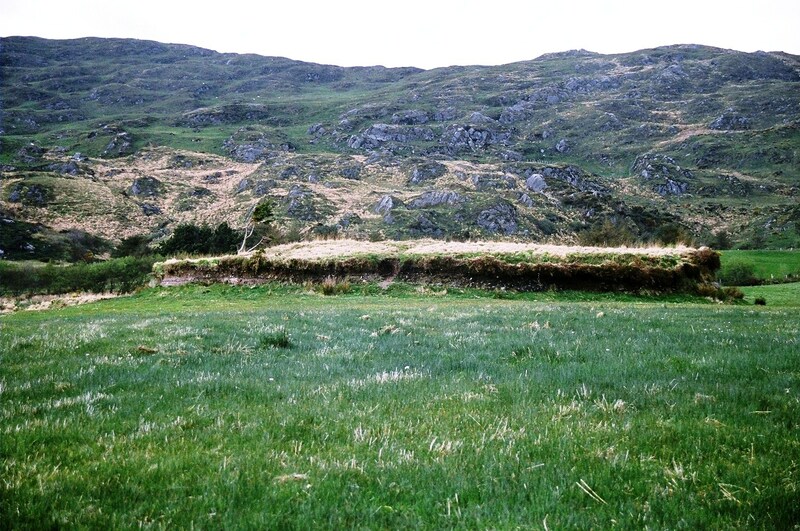 Teernahillane Ring Fort. Constructed probably in the 7th Century, excavations indicate that it was likely used as an enclosed farmstead. The earthworks acted as a defense against cattle raiding and wolves. The interior would have had small timber dwellings. 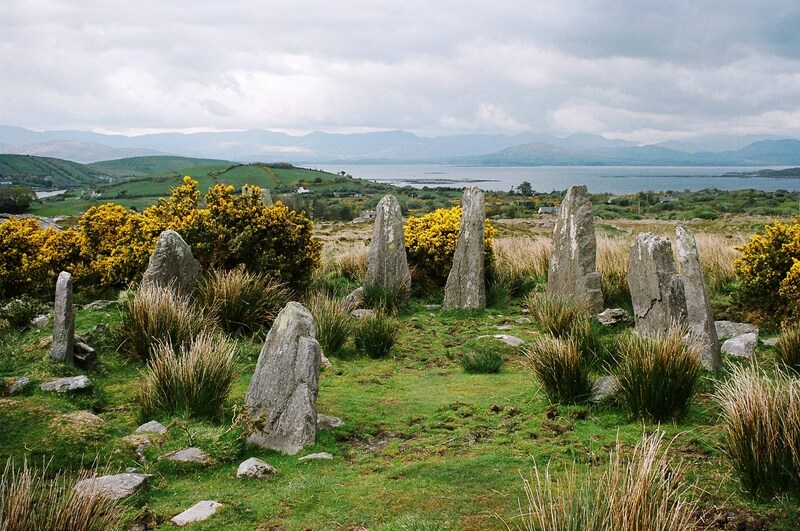 Just up the road from the Fort, we found the Derreenataggart stone circle, sitting in a plateau looking out towards Bantry Bay with the Caha Mountains behind it. 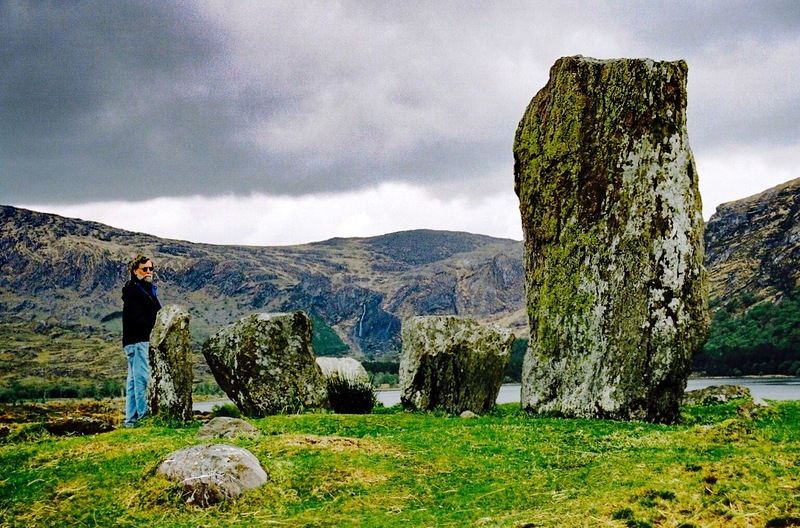 The circle is 8 meters in diameter and once had 15 stones, but now has only 8. It was a beautiful spot and we lingered there for some time just listening to the quiet. ← Welcome to the Joyful Surprise!